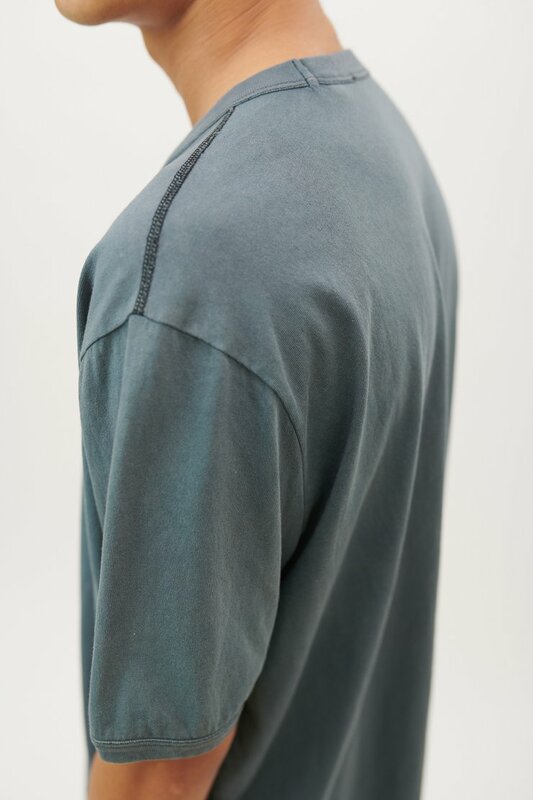 Our Borrowed V-Neck T-Shirt in Garbage Grey Army Jersey. 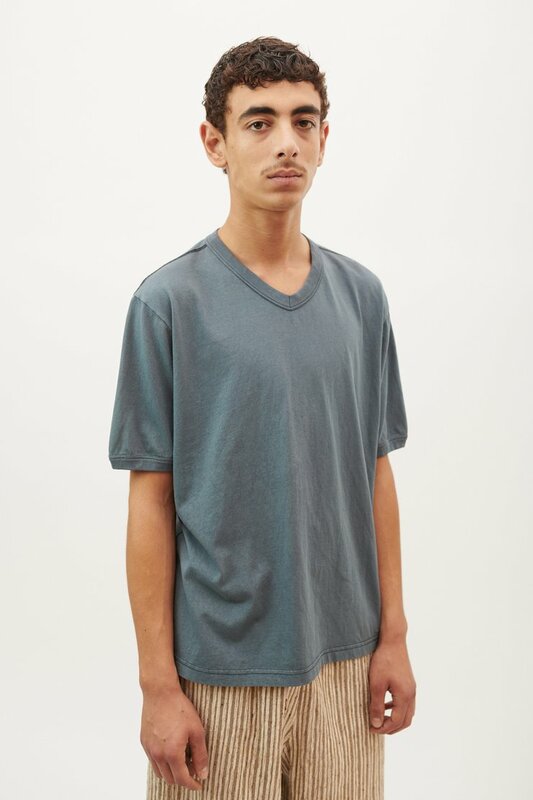 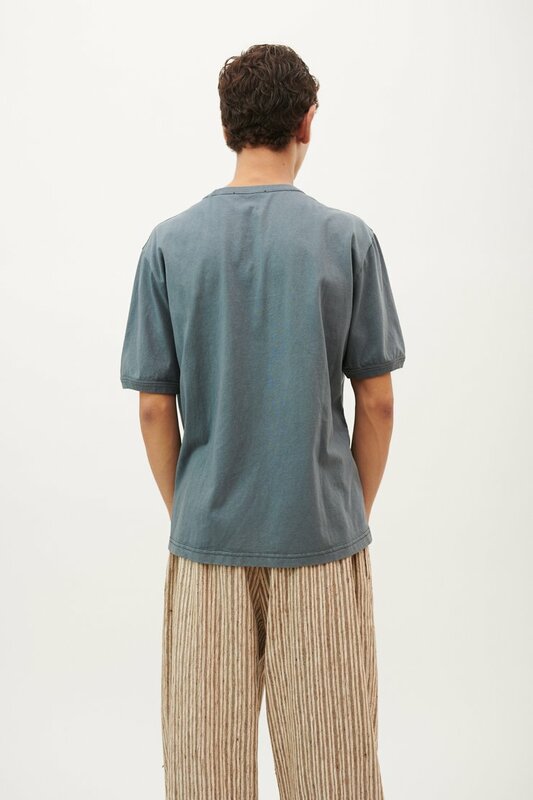 Produced in a pigment dyed compact cotton jersey, this tee features short sleeves, a fine rib bound collar, a straight hem and overlocked shoulder seams. 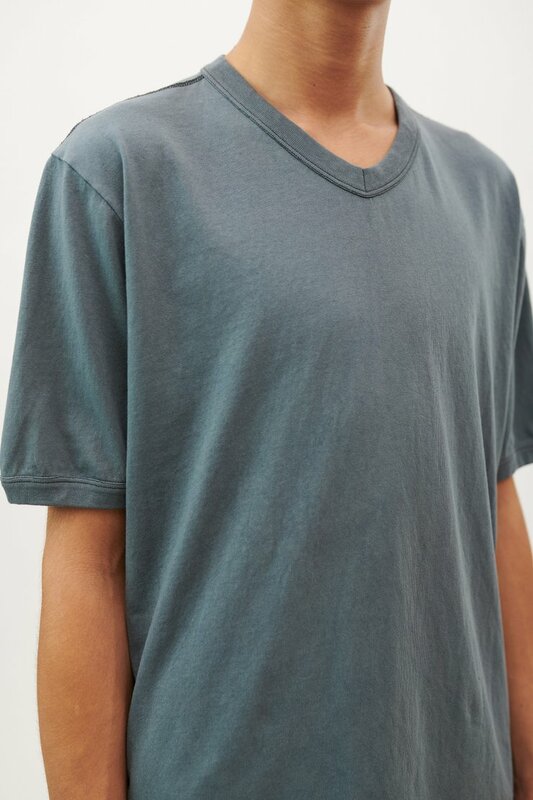 Our Borrowed V-Neck T-Shirt is slightly oversized with a wide, boxy fit. 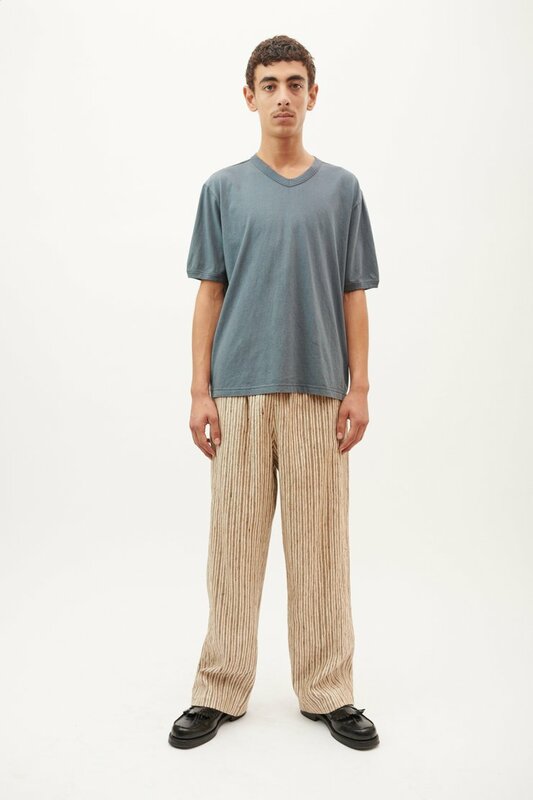 The model is 182 cm tall and is wearing a size M/48.